MARTA is engrained in the fabric of Atlanta. The system’s routes and rail have shaped the story of our region and influenced development. However, few Atlantans know the history of MARTA and the challenges it has and continues to face today. MARTA is primarily funded via fare collections and a 1% sales tax levied in Fulton, DeKalb, and Clayton counties, in addition to a limited pool of federal funds. Atlanta benefits from the eighth-largest transit system in the United States by ridership. In 2014, approximately 440,000 daily riders relied on MARTA’s trains and buses for transportation. As of 2014, MARTA ranked 6th in the U.S. for average daily riders per rail station (9,915 riders), following New York, Boston, Los Angeles, Washington DC, and San Francisco. The system is comprised of 38 rail stations that cover 48 miles of track in Fulton and DeKalb counties. But, MARTA’s original vision called for a network that reached far beyond its current footprint. The proposal for a system linking the burgeoning region was introduced by Atlanta Mayor Ivan Allen’s administration in the early 1960s. In 1965, the Georgia General Assembly voted to create MARTA as the transit system to serve the City of Atlanta and its surrounding five counties (Clayton, Cobb, DeKalb, Fulton, and Gwinnett). The act required local approvals and which were received from all counties with the exception of Cobb County. In addition to seeking approval, funding for the system was another significant challenge. In 1966, Georgia voters approved a constitutional amendment that would allow the state to fund up to 10 percent of the cost of the system. The original plan for the local portion of funds was to finance the system through property taxes, though the measure was handily defeated in 1968. Following Ivan Allen, Mayor Sam Massell developed a proposal to fund the system through a special sales tax. Local option sales taxes were new to Georgia and the creation of one would require legislative approval, something that was not easily gained for city-centric legislation. Backers worked to see the legislation advance and it gain approval, but at a cost. As the bill made its way through the Georgia Senate, Lieutenant Governor Lester Maddox communicated to supporters that if they wanted to see it pass, they would have to accept an amendment requiring MARTA evenly split the sales tax revenues between operating costs and capital expenditures. From the beginning, this restriction would hamstring the system by forcing a significant increase in fares and cuts whenever operating shortfalls arose. Though the legislation emerged with stipulations, the eventual approval by the Georgia House and Senate were nonetheless celebrated. Massell called a news conference on the City Hall lawn, facing the capitol, where he unveiled a flatbed truck carrying a billboard that read “Thank You, Georgia Lawmakers!”. He also reportedly dug a hole in the City Hall lawn and ceremoniously buried a hatchet as a symbolic gesture of thanks. Now that backers had won legislative approval, they had to define the terms of the ballot measure. One of the early sales tax proposals was for Fulton and DeKalb to levy a 3/4 penny tax and rely on the state for the 10 percent which was approved in 1966. Then Governor Jimmy Carter called MARTA officials to inform them that the state could not afford the $25 million contribution at that time. Instead, Carter offered to allow MARTA to collect a full penny in local revenue if they did not lean on the state for dedicated funding. At the time, this revision put MARTA in a better financial position so leaders readily accept the alternative, but it was a decision that many would regret in years to come. When the penny sales tax came to a vote in 1971, voters in Fulton and DeKalb narrowly approved the measure by a few hundred votes. Voters in Gwinnett and Clayton soundly defeated the measure. Over the years, additional opportunities for MARTA expansion have unfortunately failed. Nevertheless, in a sign that old attitudes toward mass transit are evolving, Clayton County reversed its 1971 decision. In 2014, a resounding 74% of the county voted in support of allowing expansion of MARTA service into Clayton County. This was the first expansion of MARTA outside of Fulton and DeKalb counties. Recent polling data in other surrounding counties shows shifting views in support of MARTA. Another survey shows the organization’s favorability within Fulton and DeKalb is as high as it’s ever been. Part of the system’s renewed community support can be attributed to a financial turnaround engineered over the past several years, leaving MARTA operating with a budget surplus. The 50/50 restriction on the system was also removed in 2015, thus providing MARTA with more creativity and discretion on how it allocates funding. As the region faces decisions on expanding our transit network, we at Advance Atlanta find it constructive to take stock of the successes and failures of those who have come before us. One thing is certain, the Atlanta region’s decisions on transit have had a significant impact (for better and for worse) on the development of our region. There is no doubt that improving transit access and mobility will leave a lasting legacy. For Atlanta to continue its position as a dominant economic force in the U.S. (and the world), a comprehensive, modern transit system is crucial. We at Advance Atlanta invite you to join us. To stay informed on our progress and to get involved, sign up for email updates here. Joey Kline is an Atlanta native, Midtown resident, commercial real estate broker with Jones Lang LaSalle, and Board Member of Advance Atlanta. This blog post is the third installment in a comprehensive series of stories discussing components of Georgia transit systems, transit decision makers, and regional transit opportunities. We hope you find this series educational, entertaining, and insightful. First of all, BRT stands for Bus Rapid Transit. I hear a lot of people in Atlanta talk about BRT like it’s a typical commuter express bus service. It seems like 90% of the time I hear BRT mentioned, people are not actually talking about real BRT. Some of you may already know that the strict design criteria for BRT systems has ruffled a few feathers in the past. This is one area of transportation design where I believe that the guidelines are important because history has shown that the systems that meet have the most elements from the list below are the most successful. If you ignore the guidelines you run the risk of having a BRT line that isn’t BRT. Just another unsexy bus sitting in traffic can give BRT an unfairly bad reputation. In this post, I’m going to arm you with the facts, so the next time you go to a meeting and someone mentions a BRT line, you can educate them if it’s not true BRT. BRT is an amazing concept working in major cities around the world, and if Atlanta is going to be a world-class city, it deserves a high quality, REAL BRT line. 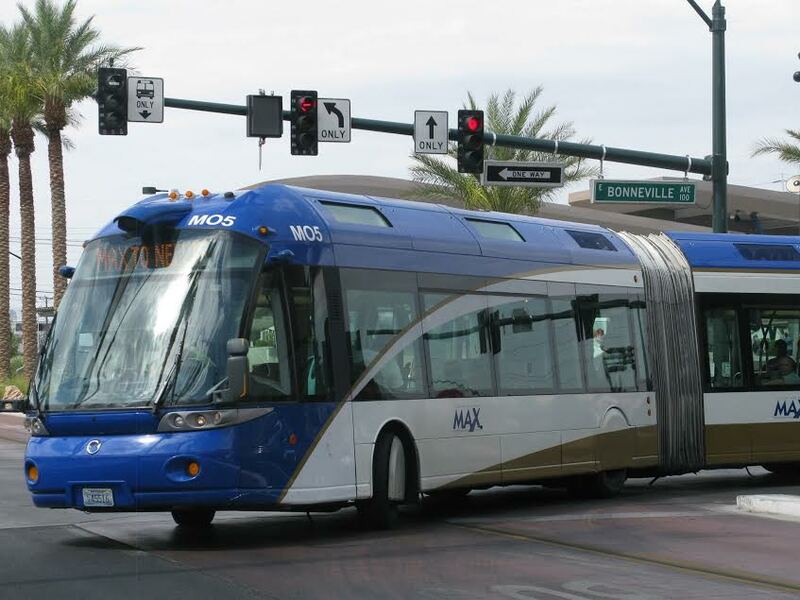 So what makes a bus line a BRT? There are 7 key elements that must be included at some level. A running way for BRT is a busway with a marked area for the bus to drive in. The key is, does the bus have its own lane to run in, or does it share lanes with existing traffic? A separated running way is an important piece of BRT, but one that typically gets sacrificed first because of Right of Way (ROW) restrictions (limited roadway space or the ability to widen a road). This is one element that can vary throughout the length of a system. A bus line can have a separated lane, a simple marked lane, or share lanes with traffic at times, but still be called BRT. In my opinion, the best kind of BRT has a dedicated and separated lane for the bus the entire length of the system, but most US cities are fully developed with limited space. So there you have it. Most important, but hardest to guideline to implement. Another way to speed up a bus route for passengers is to reduce boarding time. How do you reduce boarding time? 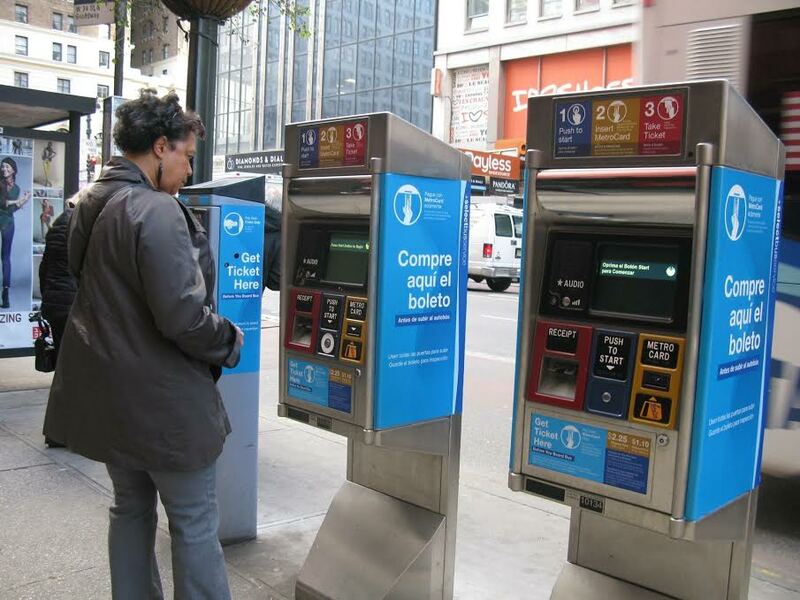 Collect the fare at the station platform using TVM (Ticket Vending Machines) instead of on the bus. This allows for all door boarding and less dwell time at stations. Less time waiting means less travel time for passengers. Tap card systems, like MARTA’s Breeze program, also speed up boarding and allow for easy transfers from adjacent lines. Thankfully mobile ticketing is also coming to many US cities soon. We’re not talking a bus stop. Not a bench and a simple overhang to shield you from the rain. A real raised platform with amenities such as lighting, seating, TVMs, art installations, and real time arrival information signs. You fancy, huh? One thing that makes BRT unique from standard bus services is the vehicles themselves. BRT buses are usually larger articulated buses that carry more passengers. They have high quality interior materials, better lighting and climate control to optimize passenger comfort. They are usually lower-floor vehicles. Ideally, the vehicle allows for level boarding for ADA access, and faster boarding. 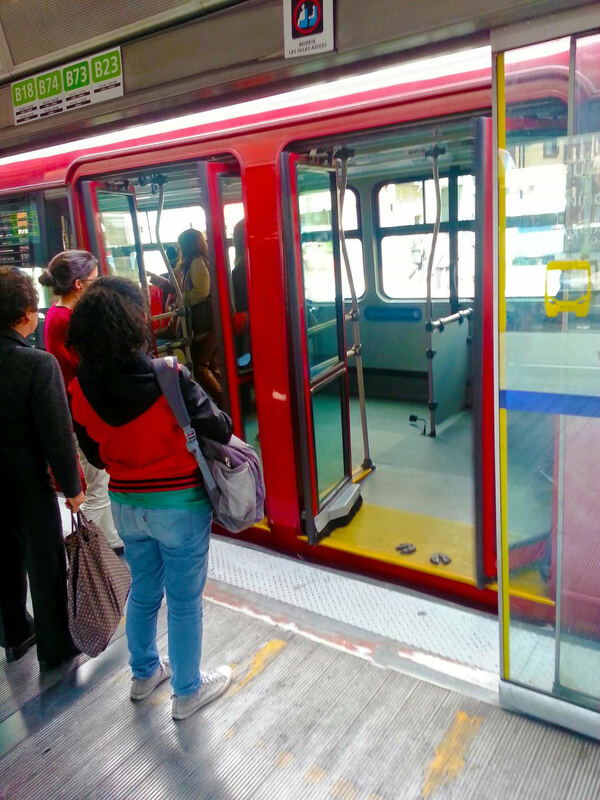 Unfortunately, many US operators have struggled with this implementation due to the operator skill required to pull the bus up close enough to the station platform without causing damage. It’s good to see MARTA already moving in this direction with their recent new vehicle procurement announcement. Intelligent Transportation Systems (ITS) deploy a variety of advanced technologies to collect, process and disseminate real-time data from vehicle and roadway sensors. For one thing, that means the entire corridor has gone through traffic signal optimization to give the bus route the fastest signaling possible. It gets better; that also means the bus can communicate with traffic signals to extend their green light times. Say the bus is about to leave the station and miss its programmed green light… it won’t. On top of that, the passengers will be able to see when the next bus will arrive at their station, not only on a message sign at the platform, but also on their smart phones. Another great technology the bus driver can use to ensure level boarding is called precision docking, which enables the bus to pull itself closely into the station area. All of the above criteria impact the bus route’s service and operations. When implemented correctly the entire system should operate much more efficiently and faster than a standard bus line. In general, service should be provided all day with higher frequencies?? peak hours. BRT lines usually have stops every 2,000-7,000 ft – more spread out than typical bus routes to speed up service and serve dense nodes of development along busy corridors. Ideally, the BRT line has lower headways (time between buses). Many in the US have 10-15 minute headways, going to 5 minute headways during peak periods of travel. Basically, you shouldn’t be able to walk faster than the bus, you shouldn’t be able to have a full conversation with your mother while waiting for the bus, the bus shouldn’t stop every 4 blocks nor should it only stop at a park-n-ride lot in the burbs and downtown, and you shouldn’t drown in the rain while waiting for everyone to board the bus. What a concept. BRT lines are distinctive. They have a single brand throughout the entire line that connects to a broader transit system. The buses are branded, the stations are branded, and everything connects together into one common image that is easily identifiable by the community it serves. For example, if MARTA implemented BRT, the buses wouldn’t look like standard MARTA buses. Maybe they’d all be yellow and be like giant Big Birds that you can’t ignore driving down its own lane on North Avenue shuttling you from Moreland to PCM to the North Avenue MARTA station? Hey, a girl can dream. Stayed tuned for BRT Part 2: BRT in Atlanta. Danielle Elkins is the Vice President of Advance Atlanta, and she wants to advance Atlanta because like her friends and neighbors, she wants safe and convenient transportation options. Before moving to Atlanta almost 4 years ago, Danielle worked on designing the first BRT system in the Bay Area. That system is still under construction today, which shows that quality design and construction takes time. She has a degree in Civil Engineering from the University of Southern California and works for a Fortune 500 engineering firm in Atlanta. This blog post is the second installment in a comprehensive series of stories discussing components of Georgia transit systems, transit decision makers, and regional transit opportunities. We hope you find this series educational, entertaining, and insightful. While what occurs in Washington D.C. takes up most of the cable news and internet political coverage you likely consume, state capitols and city halls are often where the rubber meets the road when it comes to the policy decisions that most directly affect you, your wallet, and your neighborhood. Fortunately, they’re also places where your voice can be heard loud and clear if you understand how they work and you commit yourself to participating in the decision making process. When it comes to transit policy, the general assembly has the authority to give counties the authority to conduct ballot referenda (issues that are voted on directly by residents) in counties to allocate special options local sales tax (SPLOST) revenue to fund transit agencies. A committee composed of members of the general assembly provides oversight on MARTA policy issues and budget. Critically, in the 2015 legislative session, the Georgia General Assembly removed a restriction that had required MARTA to spend 50% of its revenue on operations and the other 50% on capital projects. Headed into the 2016 session, there is talk of further gains to be had. At Advance Atlanta, we’re all about citizens mobilizing to advocate for smart transit policy for the metro Atlanta region, so read on! Every year in the second week of January, elected representatives drawn from across the state of Georgia assemble at 206 S. Washington Street in Atlanta. Gathered together for an annual session consisting of 40 work days, the members of the Georgia State House of Representatives and Georgia State Senate act as the legislative branch of state government, passing new laws, amending existing laws, and most importantly, passing the state’s budget. The bicameral legislature is divided into a lower house, the House of Representatives consisting of 180 representatives, and the upper house, the Senate, consisting of 56 senators. All members of the general assembly are “part time lawmakers”, earning a stipend of $17,342 a year for their service to the state. Most legislators hold other jobs that they work outside of the 40 day annual session. The Georgia House is currently led by Speaker David Ralston, a Republican from Blue Ride, and the Senate is led by Lieutenant Governor Casey Cagle, a Republican from Gainesville. The assembly is firmly in Republican hands, with 118 seats in the house and 39 seats in the senate. Members of the house and senate author bills and attempt to get them passed by both houses in order to go on to receive the signature of Governor Nathan Deal and become law. Bills need to clear various committees that are determined by the content of the proposed law before being voted on by the house in which they originate. If a bill is approved in one house, it must do so by the 30th day of session, so-called “crossover day” in order to then be transferred over for consideration by the other house. If approved there, the bill will be “brought to the floor” of the entire general assembly for a vote. If successful, Governor Deal will need to sign the bill in order for it to become law. This all may seem like a lot to take in, but there are plenty of opportunities for ordinary citizens to provide input and shape the decision making process at the capitol. First off, you should find out who your house representative and senator are and you can do that using the tool linked right here. Write to your legislators and call their offices to let them know where you, as their constituent, stand on transit policy. Legislators care about what the people in their districts think on key issues and hearing directly from you, a constituent, can be critical to their final vote. Want to be a super advocate? Schedule some time to visit with your legislators at their office at the capitol or back when they’re in your district. You can also write letters to the editor and op-eds in local publications expressing your views and send these to your elected representatives via email, Facebook, or Twitter. Have a bill that you’re interested in? You can track its progress by going this page of the general assembly’s website. You can also call the house clerk at (404) 656-5015 or the secretary of the senate at (404) 656-5040. The above website will also have links to live broadcasts of committee hearings, and you can watch these online or attend in person. The fourth floor of the capitol has a gallery overlooking both chambers where you can watch the action live. Lastly, there’s power in numbers. Advance Atlanta is building a diverse coalition of metro Atlanta residents, business, and civic organizations to be the voices of greater transit connectivity and to coordinate grassroots activities so that we speak with one voice. 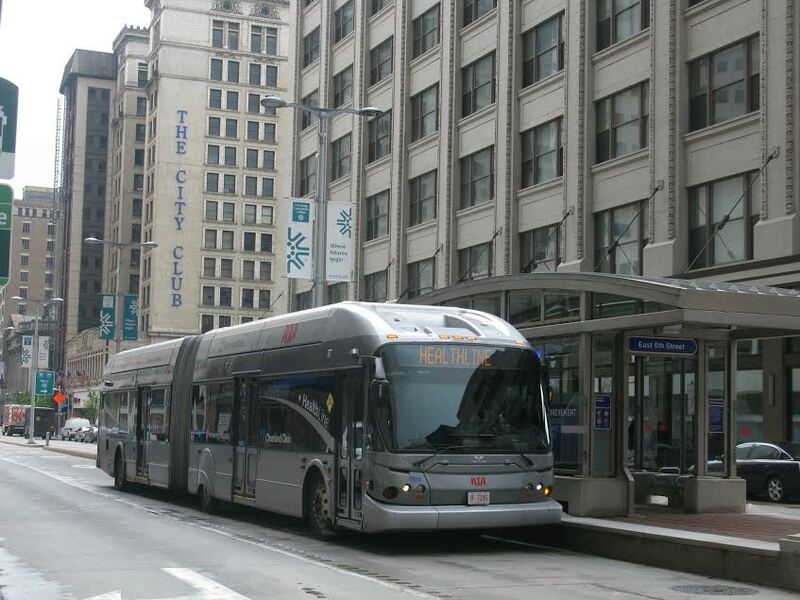 Every resident should be able to move efficiently through our region using mass transit. It makes metro Atlanta a more competitive place to live, work, and play, and it raises our quality of life. We hope you join with us. Nick Juliano is a public affairs consultant with Resolute Consulting and the President of Advance Atlanta. This blog post is the first installment in a comprehensive series of stories discussing components of Georgia transit systems, transit decision makers, and regional transit opportunities. We hope you find this series educational, entertaining, and insightful.